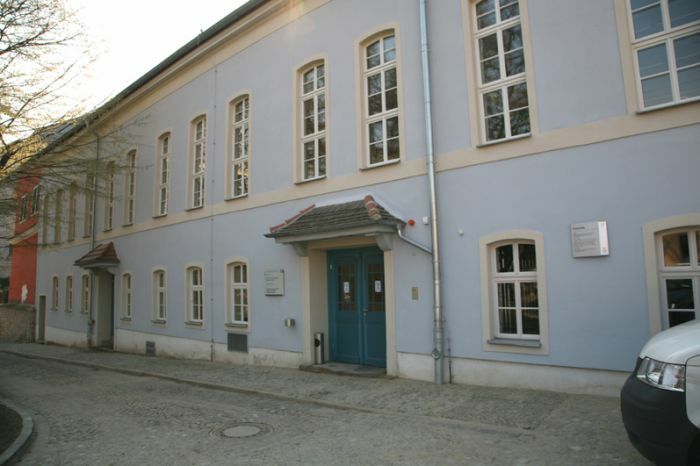 The venue, “Rosensäle”, is centrally located, just at the city centre. The Rosensäle is easily reached from all city centre hotels and public transport stations. Inside, the lecture hall and other conference rooms provide a bright and spacious setting. In 1787, the University of Jena purchased the rear building of the restaurant “Zur Rosen” (which is still active as University restaurant and student club), demolished it and built a concert hall in it’s place. Interestingly, the construction was paid for by a partnership of ten Jena Professors. In the 1830s, the building was remodelled twice, to its now standing form. From 1939 the Rosenäle was used as a department store until it was destroyed by bombing in 1945. After WWII, it served as a reading room of the University library. Following the move of the University library to a newly constructed building and completion of extensive redecoration in 1990, the Rosensäle became, once again a venue for scientific and cultural events.